WHOA, WE'VE GOT SOME AWESOME PARTNERS! Empowering and connecting women through adventure is at the heart of everything we do at WHOA. Through our strong commitment to social responsibility we've made friends with incredible grassroots organizations that are creating a positive impact in each of our destinations. We take the time to work closely with each of our partners to ensure we're building experiences that are genuinely useful, ethical and sustainable for them. We're so honored and proud to work with these organizations. Get to know more about them, and how we're working together to create more meaningful adventures below! Tembea Girls High School was started by Beads for Education, and is located in the shadow of Kilimanjaro near the southern border of Kenya. In a region where over 18 million primary school aged girls don't have the opportunity to go to school, Tembea provides girls the standard Kenyan curriculum, while also helping them develop crucial leadership skills that will prepare them to succeed for the rest of their lives. Their strong academic program is based upon critical thinking, practical experience, reading, writing, environmental stewardship, community service, and cultural understanding. At WHOA, we consider ourselves lucky to be longstanding partners with this amazing organization! In 2014, through our annual International Women's Day climb, we raised funds to have a sports field built at their school, giving the girls the joy of sport and the opportunity to to play soccer, rugby and lacrosse on a daily basis! Additionally, on most of our Kilimanjaro climbs, we invite alumni and teachers from the school join us in our journey to Africa's highest peak. We cover their fees and make sure they are well equipped for the climb, and across our seven days to the summit are able to develop meaningful connections with these inspiring women through the power of adventure! The Stella Maris Lodge is a nonprofit hotel, and is our home away from home when not on the mountain in Tanzania. The funds generated by the hotel go towards helping the Mailisita Foundation's Stella Maris Primary School which provides financially self sustaining education to the growing orphan population in rural Tanzania. Before and after all of our Kilimanjaro hikes we stay at the Stella Maris Lodge, which is located on the same property as the school (most mornings you will be able hear the happy singing of the students at their daily assembly)! Oftentimes our climbers like to bring school supplies, in addition to spending the morning after our climb singing, learning and playing with the students. The Kilimanjaro Porters Assistance Project (KPAP) is a local organization that ensures that the porters who work on the mountain are treated with dignity, respect and are supplied with adequate wages and suitable living conditions during the trek. Our porters are the heart and soul of our Kilimanjaro climbs, and we know that without their hard work, strength and smiles, summiting Kili would be nearly impossible! We are continuously committed to KPAP's mission of improving working conditions on the mountain, and ensure that all our climbs adhere to their regulations and standards. 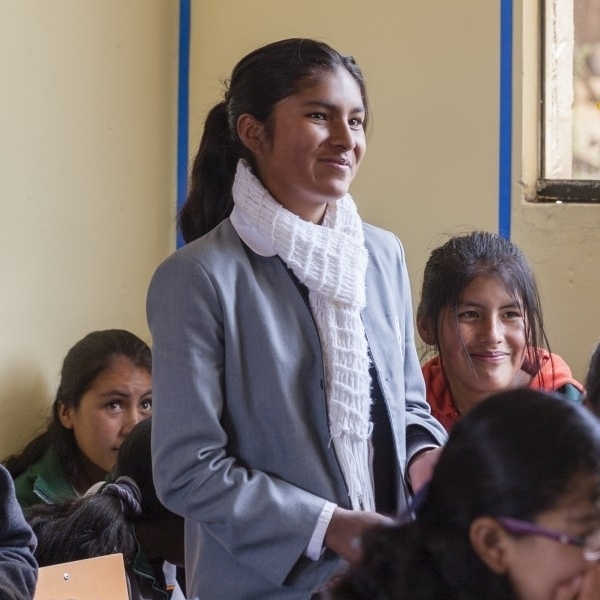 Peruvian Hearts is an empowerment program that empowers Peruvian young women to break the cycle of poverty through education, mentorship and leadership. It was founded by Peruvian-American Ana Dodson when she was only 11 years old with the idea that helping just one heart at a time can change the world. Getting to know the girls of Peruvian Hearts and learning about their lives, dreams and aspirations is a part of every one of our Peru trips. They always greet us a warm Peruvian welcome, invite us into their homes and give us an authentic insight into what life is like for them in the Sacred Valley. In true WHOA fashion, it's important that we share adventure experiences, so whether it's a day of white water rafting, or the 4 day Salcantay trek, we get to connect with these inspiring young women and get to see their beloved country through their eyes!